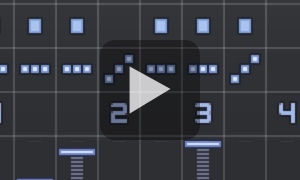 Consequence | Chord-Sequencer and Arpeggiator with MIDI out. A simple concept, with tons of scope for creativity. 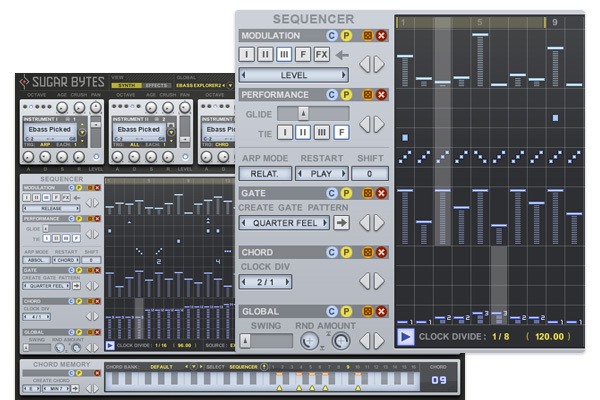 The chord sequencer is the centrepiece of the creative flow. It’s basically choosing from a palette of 16 chord "snapshots" you define in the Chord memory section at the bottom. 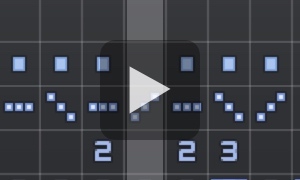 There are actually 5 sequencers controlling different aspects of the groove you’re creating. 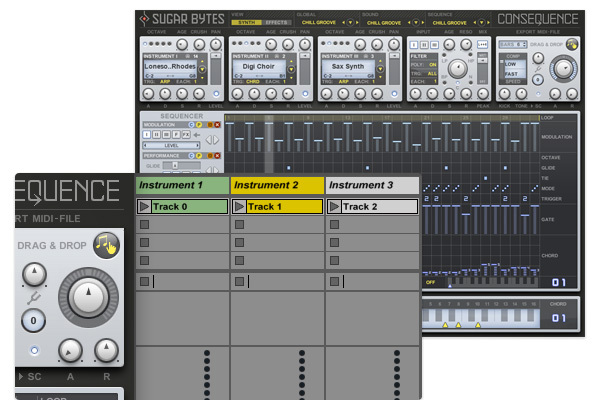 The Modulation section is especially deep, offering separate patterns for each of the synth parts, the filter and the effects. 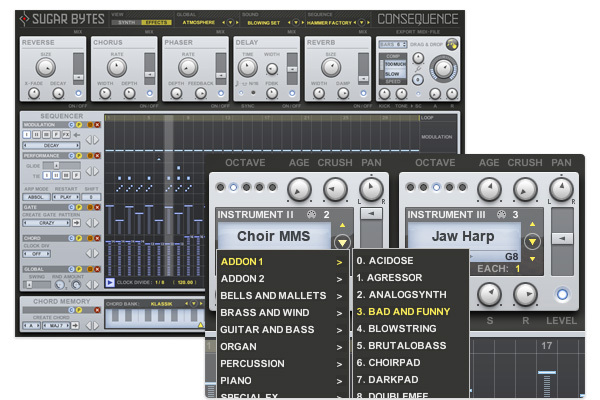 Consequence allows for detailed definition of all the sonic aspects on a step-by-step basis: "Arp" or "Chord", "Octave" or "Tie". 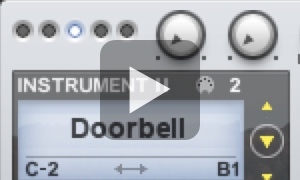 With detailed control over the Arp-direction, you can create melodies with a narrow focus. Sample library with 800 MB content in 15 categories & 222 sound presets. 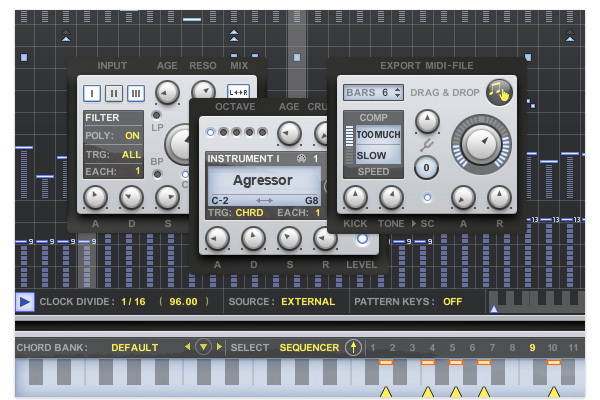 The final stage of the Consequence sound section is the master section which offers tuning features, a fine master compressor and a kickdrum which plays a 4/4 rhythm. 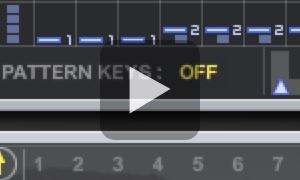 The kickdrum is a friendly helper to keep the groove while you are creating sequences, also it can be sent to the compressor explusively to glue the mix together or let the level drop at each quarter note. Four classics by Brian Smith. 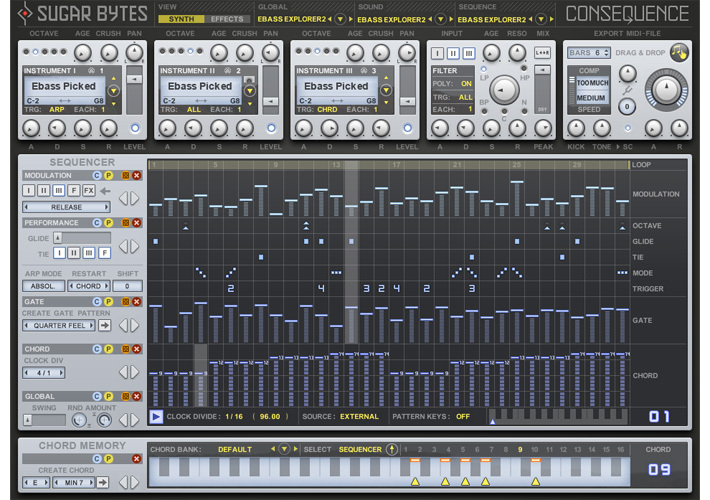 The instruments work with a sampling library which has been created exclusively for Consequence. 237 sounds, recorded from first class natural instruments and synthesizers, are currently available.